Awesome illustrator and all around cool guy Carl Pearce promoted a little competition over at his deviantart page a while ago. What was the theme of the competition? 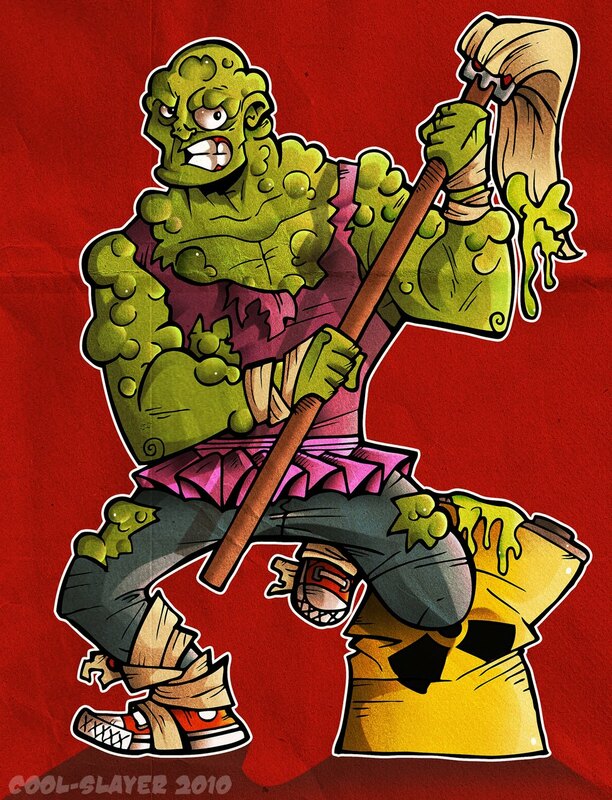 Well, nothing more nothing less than the Toxic Avenger. He suggested people drew whatever they wanted from the Toxic Avenger universe, and it sounded like a really cool idea to me - Toxie is one of those iconic B-movie characters, and I had never drawn him before, so this was a great excuse to do so. Carl liked this pic, and I had a blast doing it, so it all came together nicely. You might have seen the pic before, but even if you have, I hope you enjoy it all over again.